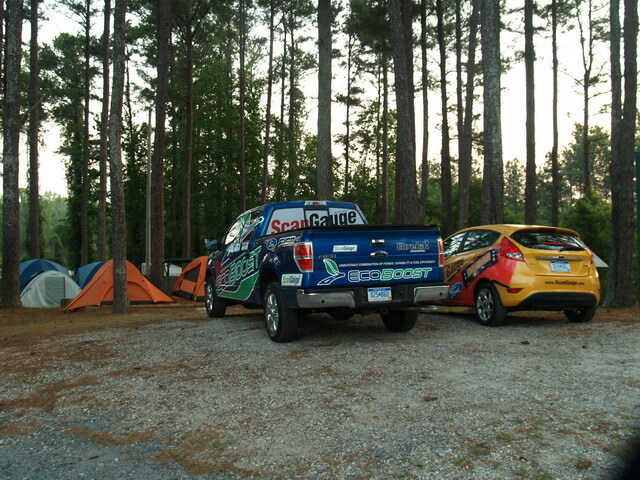 2011 Ford F-150 EcoBoost Challenge truck was weighed at Douglas County Weigh Station Ramp near Atlanta, GA on May 5, 2011. 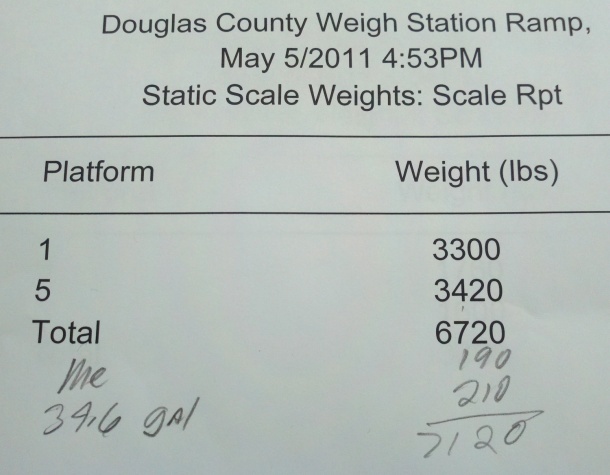 The scale read 6720 lbs. One passenger was in the weigh station with the attendant (+190lbs.) 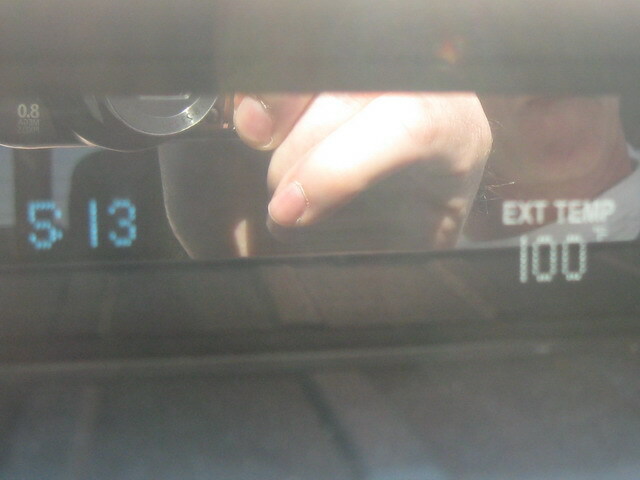 and the truck had the low fuel light on. At that point, it could hold 34.6 gallons (210lbs.) for a total of 7120lbs. The rated capacity is per Ford specs is 7100lbs. from the airports for the challenge. Ford specs the curb weight at 2537lbs and it weighed in at 3360lbs. 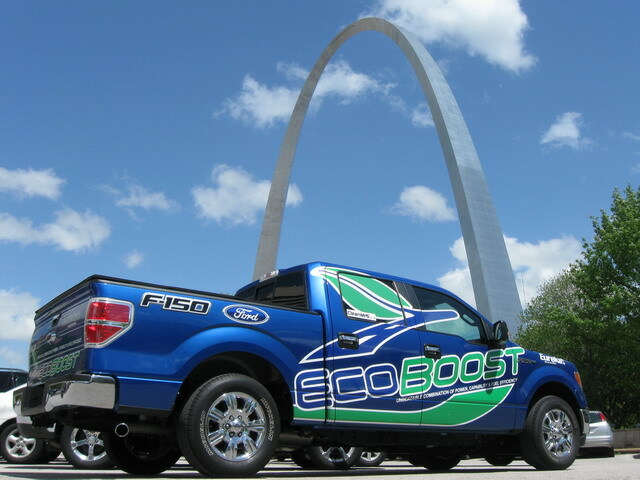 The Ford spec weight is 3620lbs. 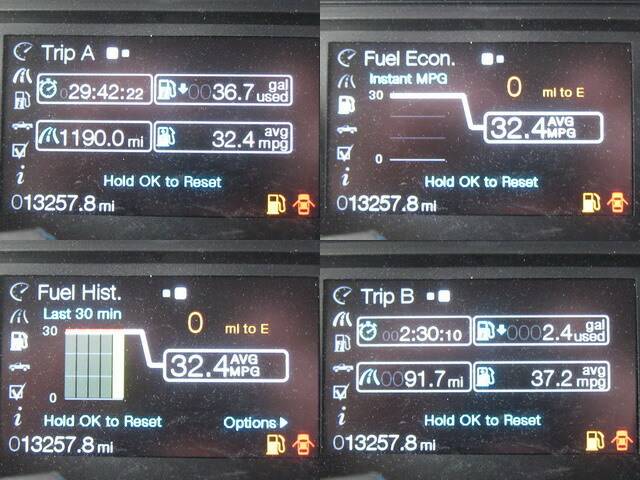 1,190.0 miles * (100/98.7 (Odometer offset study)) = 1,205.67 miles traveled divided by 35.308 gallons total filled = 34.147 mpg. Double-u zero zero tee exclamation mark. If you had a cap on would that be better? 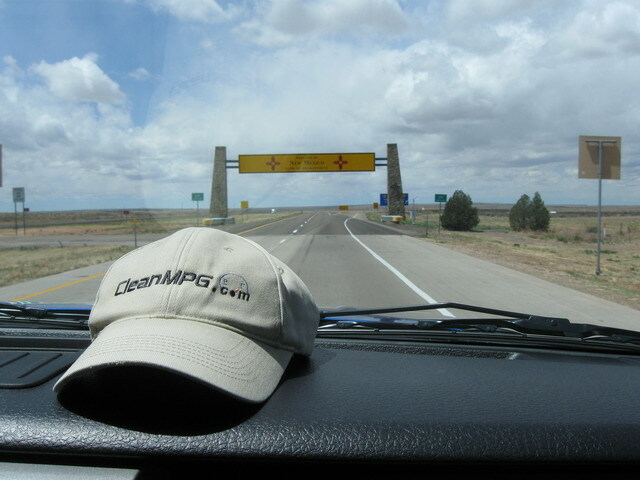 You should have Ford increase the maximum MPG on the chart to 40 or more. 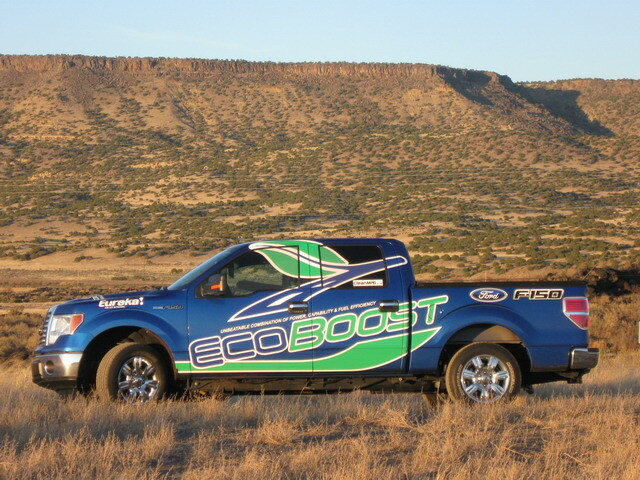 Nice job; 30MPG+ in a pickup is amazing. The pictures look good too. where are waldo and the gang now? Ford doesn't show a weight for the Fiesta on their spec page but according to Edmunds the Curb weight: 2578 lbs. Just a few pounds more than what you found. 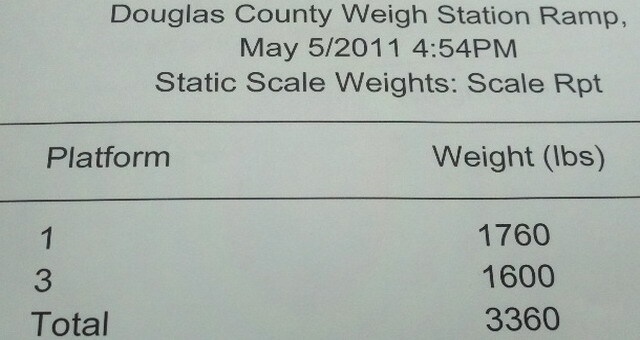 What have you been feeding yours or is that weight ticket the totally loaded weight? How is the ride in the back of the 150? Don't need to ask about the back of the Fiesta. I have media access to Ford technical data and that number is straight from their technical data sheet. Look back at the pics of the loaded bed. It is actually a little lighter than it was. One of the journalist left today and took his bag with him. Wayne is delivering the rest to Chicago to two of the journalist. This is from Jill Ciminillo regarding the back seat. The cloth seats are comfortable and supportive without being stiff or squishy. The material is on the rough side, but that's perfect for a work truck. Rugged and stain resistant is what I'd look for here, and that's exactly what it is. Plus, there are plenty of cup holders. 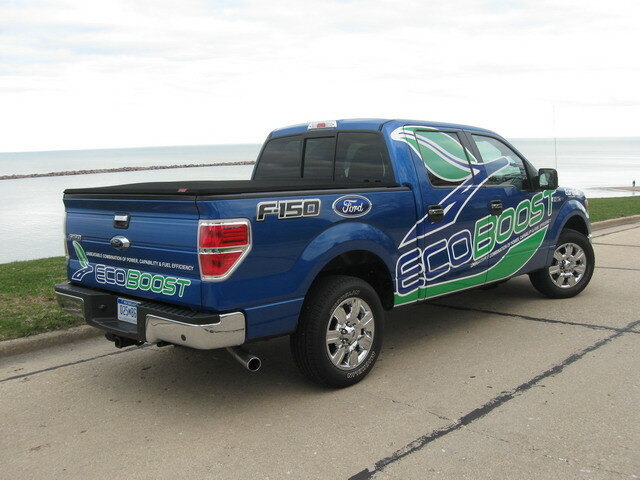 The F-150 can hold up to 6 passengers, and everyone gets at least one place to stash a beverage. With 5 of us, we each had 2 beverages in holders at all times (coffee, water, Pepsi, water, coffee, water ... sense a theme?). My one complaint in the 3 seats I occupied (driver's, shotgun and rear middle) was always the seat belt. In each position it was situated too high and cut into my neck. Even though the front seats had adjustable height for the shoulder harness, it was draped over the top of the seat, which was a couple inches taller than my shoulder. So, I still had this problem. A couple of the rear outboard passengers also noted similar seatbelt complaints. The shoulder straps are the main complaint in the back seat. Also, I have ridden in the back middle position for two days. I have found the seat bottom to be too flat. My lower thighs are not supported and my knees get sore. You can't beat the comfort of the F-150. The 18" wheels roll across many bumps making them inconspicuous. I'm not sure how they did it, but if you have the windows up, virtually all outside noise is isolated from the cab. 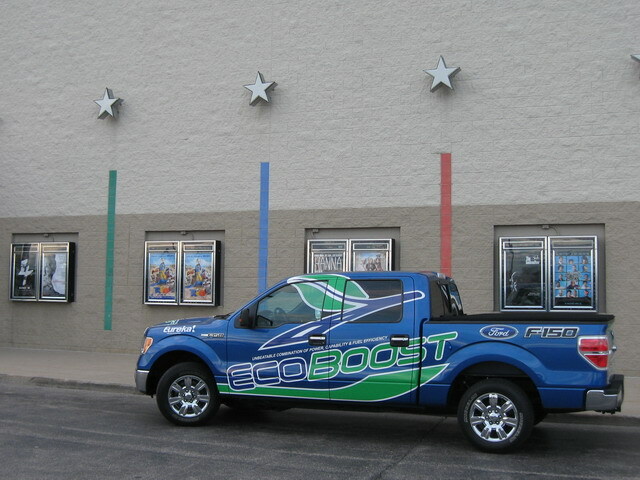 Sorry about your big price uptick for the EcoBoost. 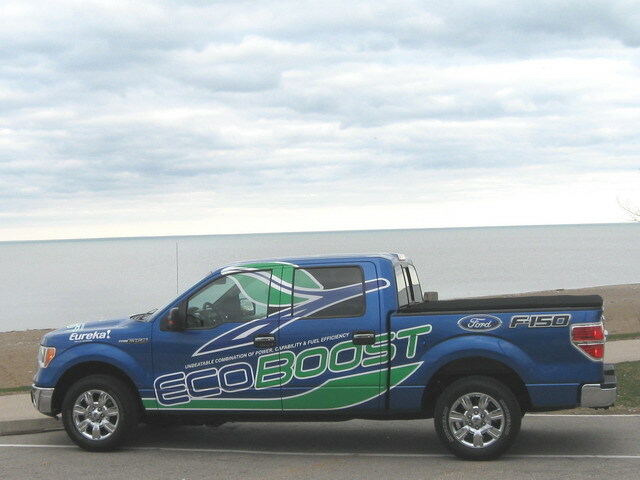 I would forgo other options before I deleted the EcoBoost. YES! It's that good! I'm thinking 34.25 MPG . I might be a little high (pass the doobie) but looking at the elevation chart it looks do able. Do I know my guys or what? That's over the 3.7. If you are doing much towing or hauling with the truck, the 3.7 is probably not going to cut it. 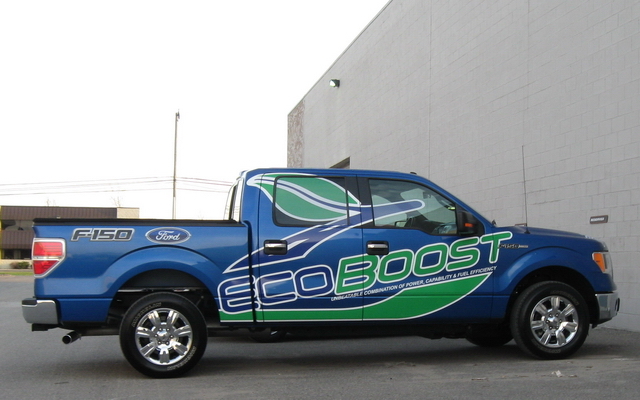 The 5.0 is a $1k upgrade over the 3.7, and the EcoBoost is another $1k. The $1k over the 5.0 is worth it for the power alone if a person is going to be doing some heavy towing, never mind the fuel economy that comes along with that upgrade. A few from the road. Namely, Forsyth, GA. 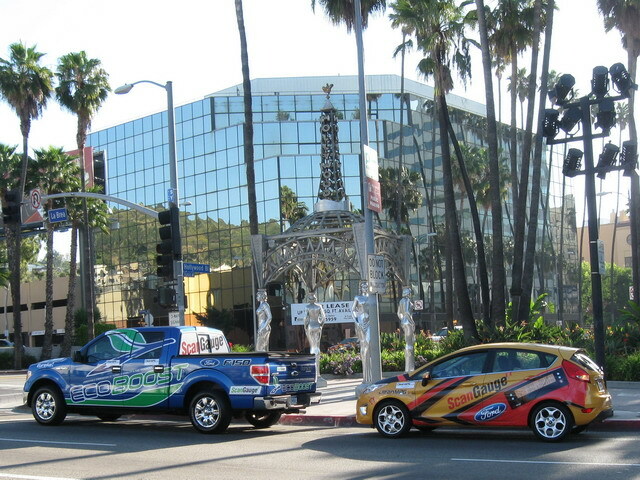 The Ford F-150 and Fiesta at rest. Everyone here is in the ballpark. The Eureka FB page had guesses as low as the teens. You could tell they didn't even bother to look and see what we do. 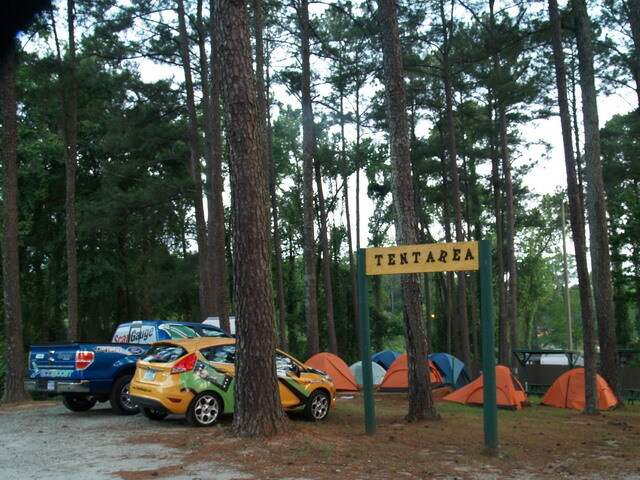 Planning for the Fuel Economy Adventure Challenge occurred over many months, the launch detail occurred in the Ford Trucks – Fuel Economy Leadership from Engines to Alignment thread. In it, we honed down the available automobile universe discarding cars, SUVs and Minivans with only the 6-passenger Trucks meeting the passenger and cargo capacity to perform the challenge as outlined. Once the 6-passenger trucks were decided upon, the table embedded in that thread lead us to only one. 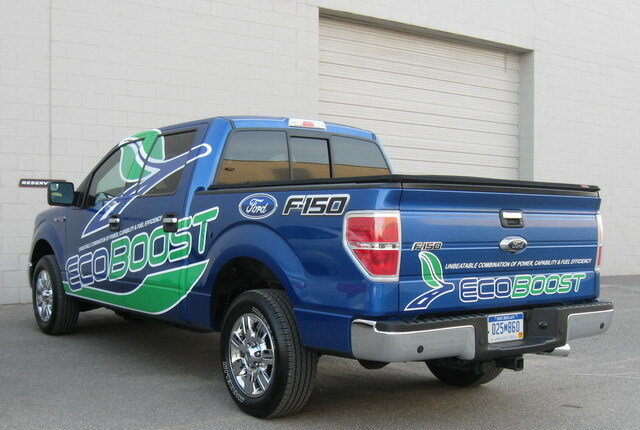 That being the 2011 Ford F-150 w/ EcoBoost. Picking up the truck just two weeks ago just outside of Dearborn, MI. First day heading toward LA from Chicago and making our way around downtown St. Louis. 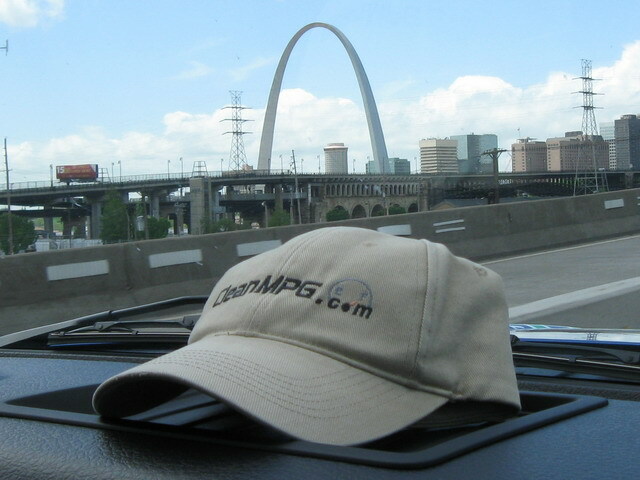 When in St. Louis, you must visit the “Gateway to the West”. 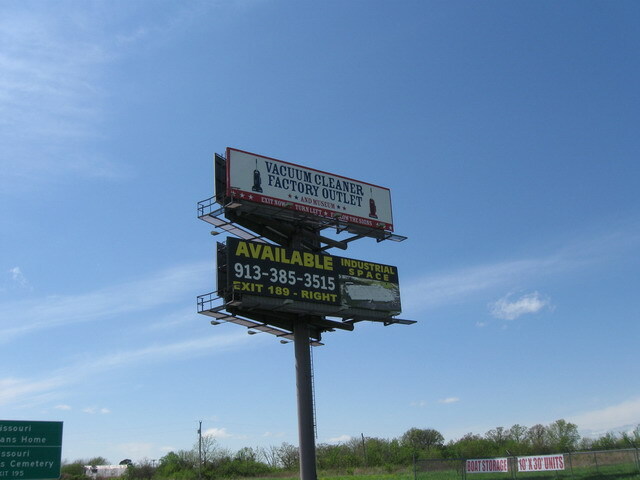 What else do you think Missouri is known for? Taken out the window of the F150 in St James, MO. 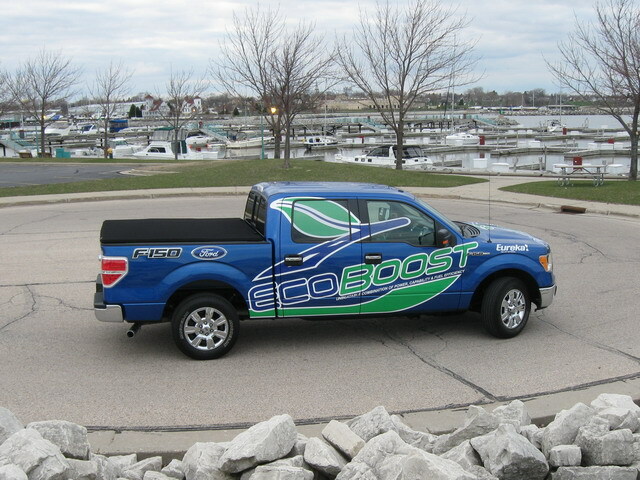 2011 Ford F150 on the road heading West! On an Indian Reservation in NM. Mountain Peaks in the Background prior to crossing the Sierra Nevada’s! Would love to hear details on what techniques seemed to work best, as I have an identical truck, except mine is 4wd and has the 3:55 ring and pinion. Is there a breakdown somewhere of specific driving techniques so I don't have to keep experimenting myself?